Let it be known, since emerging on the scene in 2010 with K.R.I.T. Wuz Here, after years of grinding in the Dirty South's mid-2000's bootleg battles, the predominant Southern Hip-Hop revivalist has always been capable of making this type of record. 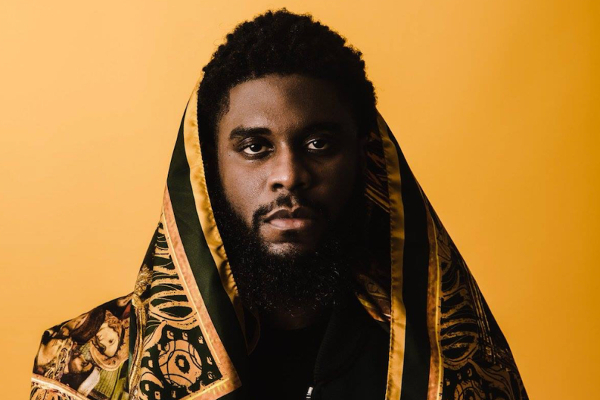 Never one to doubt his own ambition, Big K.R.I.T. 's sweeping catalogue, one which includes 14 projects over 15 songs, nine over 20, has desperately been waiting to be rearranged into something more meaningful. Even as he evolved into the Def Jam marionette, full-fledged albums were designed on equal footing as his mixtapes; jumbled, discombobulated, and shuffled without rhyme or reason. This, an increasing bout of frustration given the clear evidence of talent, both on the mic and behind the boards, of Big K.R.I.T. himself. Finally away from superfluous tapes and label pressure, the artist known as the last bastion of true, non-Trap, Southern Hip-Hop can now, assuredly, introduce himself. On one half, he's Big K.R.I.T. ; the showboater, the sweet-talker, the street composer. On the other, he's Justin Scott; the intellectual, the observant, the confused. Two projects in one. Each 11 songs. Each sporting their own respective covers. Each cognizant of their own thematic foothold. On all previous Big K.R.I.T. projects, while talent seeped through the cracks in the foundation, their resonated an aura of cluelessness. One moment, K.R.I.T. 's questioning the grandeur of fame, wealth, and posterity, the next he's satisfying the measly club-goers with woeful stripper anthems. The basis of 4eva Is A Mighty Long Time, that of an antithetical double album, showed promise. Similarities can, and should, be drawn to K.R.I.T. 's biggest inspiration, Outkast, and their double album Speakerboxxx / The Love Below. On it, two halves of the Outkast formula went their own way, succeeding in both respective channels while, simultaneously, crafting a project that, when combining forces, represents the Outkast dogma superbly. With 4eva Is A Mighty Long Time, the only difference stands within K.R.I.T. himself; one individual composed of two, conflicting halves. After a christening instrumental on 'Justin Scott' that's pure heart and Soul, K.R.I.T. finally tackles the root of his problem with 'Mixed Messages.' The message, ironically, is quite simple, detailing the hypocrisy famed conscious rappers tolerate when they say one thing, but think the other. We've heard similar accounts from Kendrick Lamar, J. Cole, and Joey Bada$$, so while the self-awareness isn't innovative, K.R.I.T. 's acceptance of the fact is truly refreshing. You could go track-by-track comparing this duplicity. Track four of one half, 'Subenstein (My Sub IV),' a monstrous banger that serves no other purpose than to rattle dingy car interiors. Track four on the other, 'Miss Georgia Fornia,' a smooth and tender travelogue with classical Country-leaning a la Nappy Roots. Or, you could accept K.R.I.T. 's provision in deliberately crushing the flow of the second half with 'Weekend Interlude,' a vintage DJ advertisement of club "same old same old." For the first time ever, K.R.I.T. has proven to be totally aware of both his internal conflict and his surroundings. There is so much to dissect throughout 4eva Is A Mighty Long Time that I feel interpreting it with a few terse paragraphs is doing the record a mighty disservice. Yes, a handful of early crowd-pleasers fail to entice musically, like 'Confetti' or '1999.' Yes, going over an hour without a rapping feature after CeeLo Green on the Southernplayalisticadillacmusik tribute 'Get Up 2 Come Down' diminishes the thrill. But a quick glance at the positives will outshine that all. Like the thunderous 'Big Bank' that takes Killer Mike's 'Big Beast' and runs with it, two songs that by no coincidence feature T.I.. Or how about 'Aux Cord,' the multihued ode to all of K.R.I.T. 's musical influences. Prominent single 'Keep the devil Off' and the whirlwind of spiritual energy culminating in a lengthy send-off a la Outkast's rhapsodic 'B.O.B.'. The fearful contemplation of 'Price Of Fame,' and how K.R.I.T. 's experiences of stardom inadvertently paints an ugly portrait of Trap's egomaniacal artists. Or lastly, 'Bury Me In Gold,' the glorious finale that affirm's K.R.I.T. 's efforts, hardships, truths, and courage will, inevitably, guide him to a suitable resting place. There's so much Southern Hip-Hop goodness to take in all over 4eva Is A Mighty Long Time. And yes, while the 90 minutes of passion make listening in one, uninterrupted experience difficult, K.R.I.T. 's decision to finally, for once, split his halves and come to terms with that capriciousness makes ingesting his latest monument more accessible. Do you want the trunk-rattlers or the ruminative free-thinkers? Instead of trying to explain, through random song structuring, that he's one and the same (as he did on his last project, Cadillactica), on 4eva Is A Mighty Long Time, K.R.I.T. comes to the understanding and realization that he's both. Essentially, he's two-faced. And, if this is the project we get out of him disclosing that, that's quite alright with me.